Co-op Market’s Grocery Team: These are the folks with the muscles. They move your groceries from truck to shelf and ensure that everything is priced and placed correctly. They’re also really friendly. If you can’t find something, don’t hesitate to ask! We don’t waste a single inch on our grocery shelves: There are too many great foods we love and want to share with you! From pickles and pine nuts to kombucha and kale chips, we offer a wide selection. 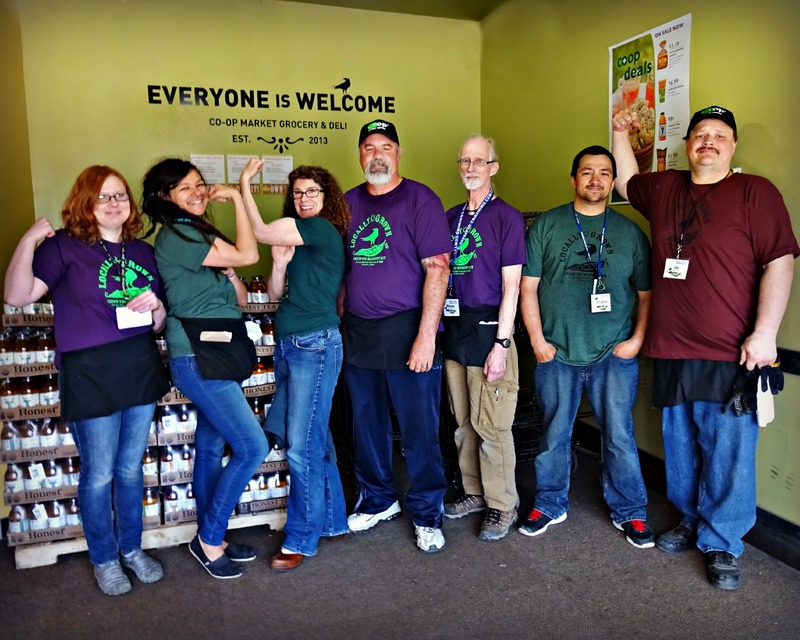 We’re also happy to offer wholesome foods that cater to specific dietary needs, but we make sure to stock the traditional favorites and affordable staples, too. In keeping with cooperative values, we source products from suppliers that participate in fair and sustainable business practices. And don’t forget to look for locally made specialties, from birch syrup to barbecue spices to dog treats. Can’t find what you’re looking for? We may be able to special order it. Speak with a Grocery Team Member and we will see what we can do for you.